Lots of novels have been written about the Second World War. 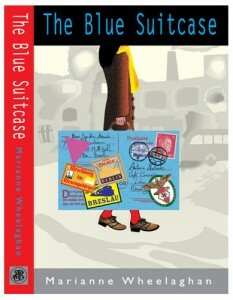 Very few of them though are told from the point of view of ordinary German people.The Blue Suitcase is Marianne Wheelaghan‘s first novel, based on her mother’s diaries, the family’s letters and additional historical research.Told in the format of a diary, the novel follows Antonia from 1932 when she was 12, growing up in Silesia, a part of Germany that is now in Poland and ending in 1946, when she leaves Germany to start training as a nurse in the UK.The diary format works brilliantly, you can sense Antonia’s growing maturity, from her self centred attitude to her 12th birthday meal being disrupted through her unsuitable friendship with Liesl and Rolf who are the only children to befriend her when she first moves away from the town of Breslau (now Wroclaw) to a small village to her later forced labour helping to build the city defences during the siege of Breslau. It is interesting to see the different reactions that her family have towards Hitler as he comes to power and takes over in Germany then their different responses to the war. One of her brothers joins the Communist party and is imprisoned in a series of concentration camps, another enthusiastically becomes a member of the Hitler Youth.Her mother, a doctor, vociferously opposes Hitler, and is pushed out of her job by his edicts against women working in the professions. She later becomes very ill. This compelling and moving novel is essential reading for anyone who wants to see how the Second World War affected ordinary German families. 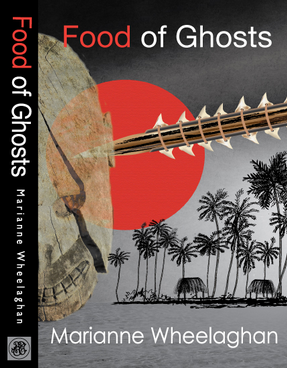 Having recently being totally taken in by Binjamin Wilkormski’s Fragments (which I reviewhere) I was pleased to read on Marianne’s website a full explanation of how she wrote the book and where her information came from! (Scroll down on this page). 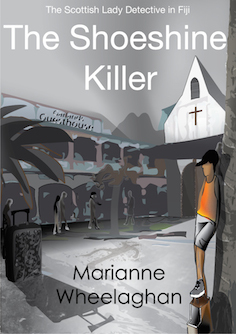 The Blue Suitcase by Marianne Wheelaghan, published by Pilrig Press. Although this novel is unusual in being told from the viewpoint of an ordinary German during 2nd World War, it isn’t unique. 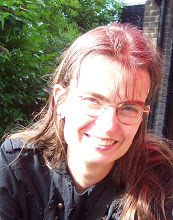 I recently reviewed Portrait of the Mother as a Young Woman by Friedrick Christian Delius. As ever, all coloured text contains hyperlinks that take you to other webpages where you can find out more.